Improvement: One HOV/carpool lane in each direction. The night of September 15, 2016, crews erected and bolted 110-foot steel girders to the Providencia Avenue bridge in Burbank. The work is part of a month-long operation that is widening the bridge to accommodate the new carpool lanes on I-5. More information is here. 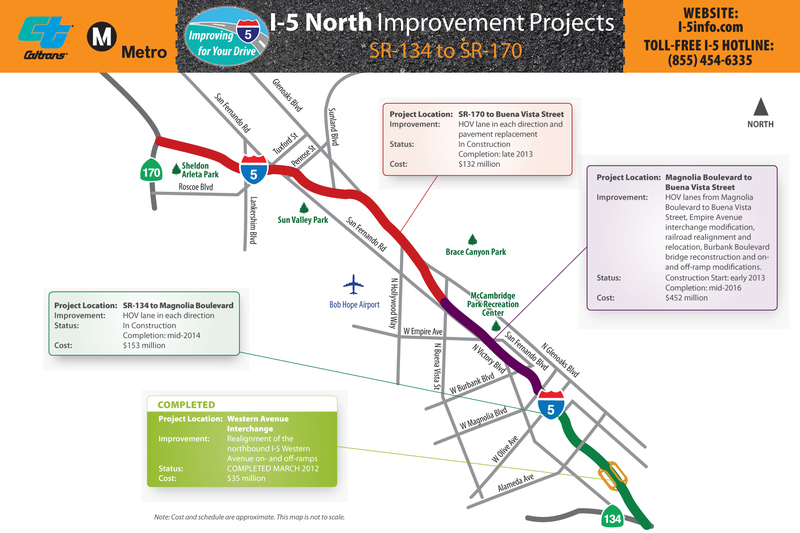 In this video, Caltrans Resident Engineer James Shih provides a construction update on the I-5 HOV project between SR-134 and Magnolia Boulevard. The project is widening I-5 to add 2.7 miles of carpool lanes in each direction. Other improvements include widening bridges, constructing new on- and off-ramps at the southbound Western Avenue interchange, enhancing sound walls, and upgrading the storm water drainage system. To enhance public safety, a pedestrian walkway is being constructed near Verdugo Avenue. 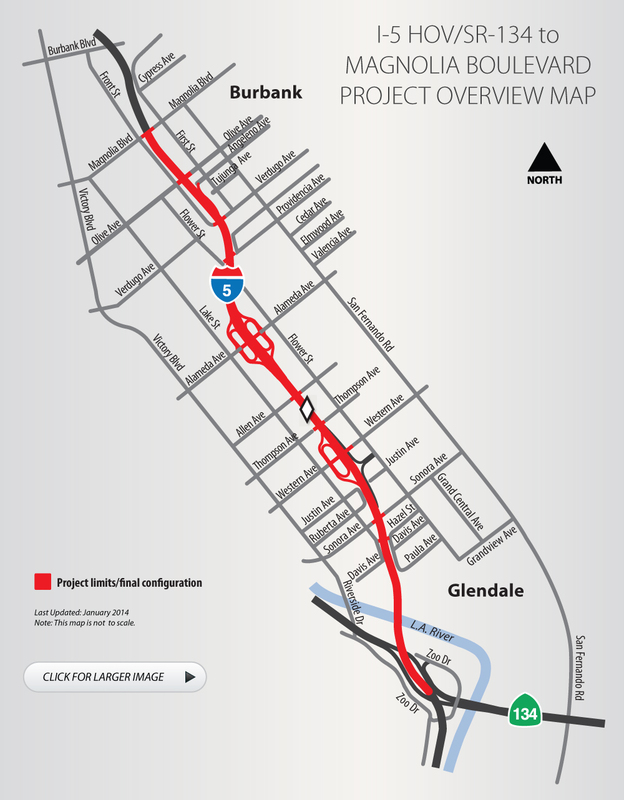 The Golden State Freeway (I-5) is being widened to add 2.7 miles of carpool lanes in each direction between the Ventura Freeway (SR-134) and Magnolia Boulevard in the cities of Burbank and Glendale. Freeway improvements include widening bridges, constructing new on- and off-ramps at the southbound Western Avenue interchange, enhancing soundwalls and upgrading the storm water drainage system. To enhance public safety, a pedestrian walkway will be constructed near Verdugo Avenue.